The Auburn University Veterinary Clinic has expanded its service to include avian and exotic animals, providing wellness care as well as educating veterinary students on the healthcare management of these companion animals. 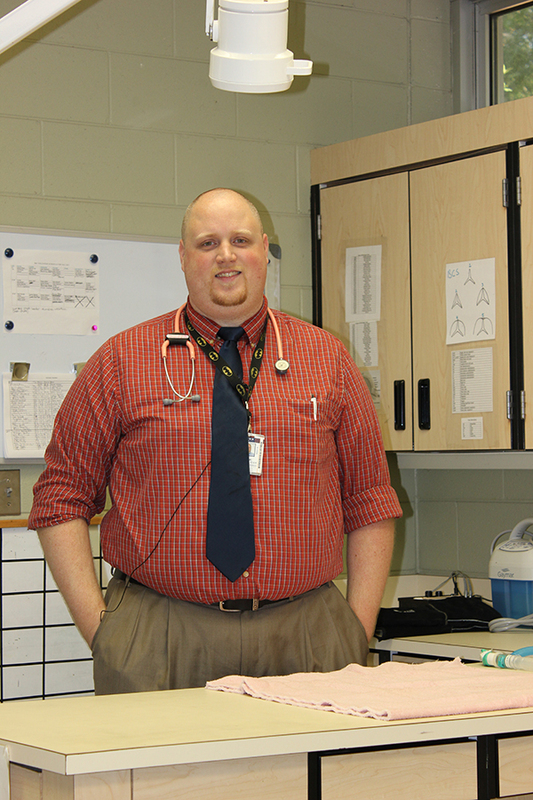 Dr. Seth Oster, an assistant clinical professor in the Department of Clinical Sciences, oversees the Companion Animal Avian and Exotic Service and is the primary veterinarian for the service. Client appointments are being scheduled on Monday, Wednesday and Friday afternoons by calling 334/844-9966. The Auburn University Veterinary Clinic is located in the Wilford and Kate Bailey Small Animal Teaching Hospital, 1010 Wire Road. The service will see all birds, any non-venomous snakes and other exotics, but will not see primates. Exotics include reptiles, turtles, lizards, ferrets, guinea pigs, hedge hogs; birds include pet chickens. Dr. Oster received a zoology undergraduate degree in 2009 from Auburn, and his DVM from Auburn in 2012. During his time at Auburn, he worked at the Southeastern Raptor Center from 2006 to 2011. Following graduation, he entered private practice where he saw small animals, avian, and other exotic species. He continued to work in wildlife rehabilitation as well. He is also the primary veterinarian for the Southeastern Raptor Center and oversees the birds of prey rehabilitation service of the SRC.